READY NOW - NO NEED TO WAIT!! 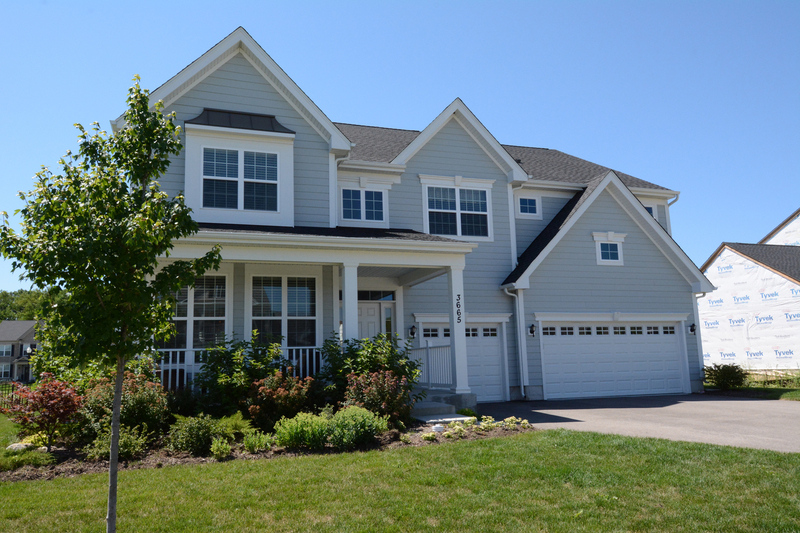 Like new construction; custom built in 2015 this Northwood Colonial is ready for the next lucky family. Upgrades galore make this home a stunner including blinds throughout, gorgeous stone patio, built-in grill & fire-pit, fenced back yard & professionally landscaped front & back. On-trend colors throughout & dark, hand scraped hardwood floors throughout the 1st floor make this home magazine worthy. There is a wide open 2 story family room with abundant windows & a gas fireplace making this the heart of the home. The gourmet kitchen offers upgraded white cabinets, hardware, appliances & granite countertops - most of the lighting was upgraded as well. Iron balusters lead you to the 2nd floor featuring 4 bedrooms & convenient laundry room. The master bedroom was upgraded to include a tray ceiling & offers a spa like bathroom equipped with a frameless glass shower enclosure. The full basement is plumbed for a full bath for future expansion. A WOW of a home! Listing Sold by Haus & Boden, Ltd.